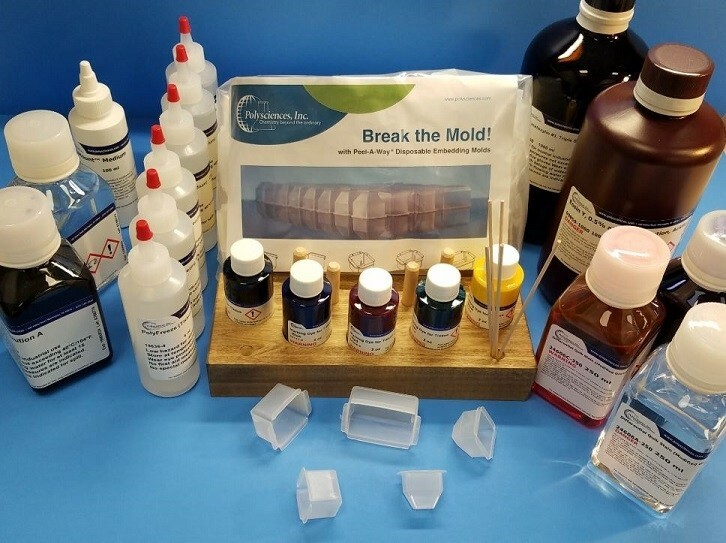 Mohs Starter Kit with Diagnostic Stains| Polysciences, Inc.
All reagents needed to start a complete Mohs lab. From dye marking, cryo-embedding, melanin bleaching, staining and mounting medium to a finished slide which can be viewed under the microscope within minutes. This kit has all of the components of the MOHS Lab Starter Kit (26417-1), plus the diagnostic stains to have a complete MOHS Lab.